The Good, The Bad and The Queen are Damon Albarn (Blur/Gorillaz), Paul Simonon (The Clash), Tony Allen (Africa 70 / Fela Kuti) and Simon Tong (The Verve). The Good, The Bad and The Queen began life in the Aphrodisia Studios in Nigeria in 2004. Damon Albarn and guitarist Simon Tong had travelled to Lagos to record with veteran drummer and Afrobeat pioneer Tony Allen. Working with local musicians, the trio recorded an album's worth of material. Back in England, Damon gave the recordings to producer Brian 'Danger Mouse' Burton and the result is a record specific to a place and a time but with a background that is geographically wide-ranging and stretches far back into a glittering musical past. 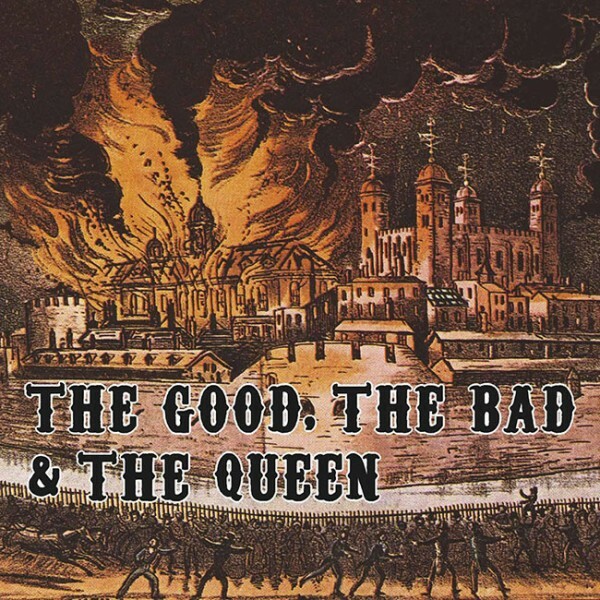 'The Good, The Bad And The Queen' traces a journey from the English music hall tradition, over to West Africa for Afrobeat, zigzagging through the West Indies and its reggae and dub, back to England and London's punk scene, all the while taking in a strand of British beat music from the '50s right through to Britpop. The Good, The Bad and The Queen are Damon Albarn (Blur/Gorillaz), Paul Simonon (The Clash), Tony Allen (Africa 70 / Fela Kuti) and Simon Tong (The Verve). The Good, The Bad and The Queen began life in the Aphrodisia Studios in Nigeria in 2004. Damon Albarn and guitarist Simon Tong had travelled to Lagos to record with veteran drummer and Afrobeat pioneer Tony Allen. Working with local musicians, the trio recorded an album's worth of material. Back in England, Damon gave the recordings to producer Brian 'Danger Mouse' Burton and the result is a record specific to a place and a time but with a background that is geographically wide-ranging and stretches far back into a glittering musical past. 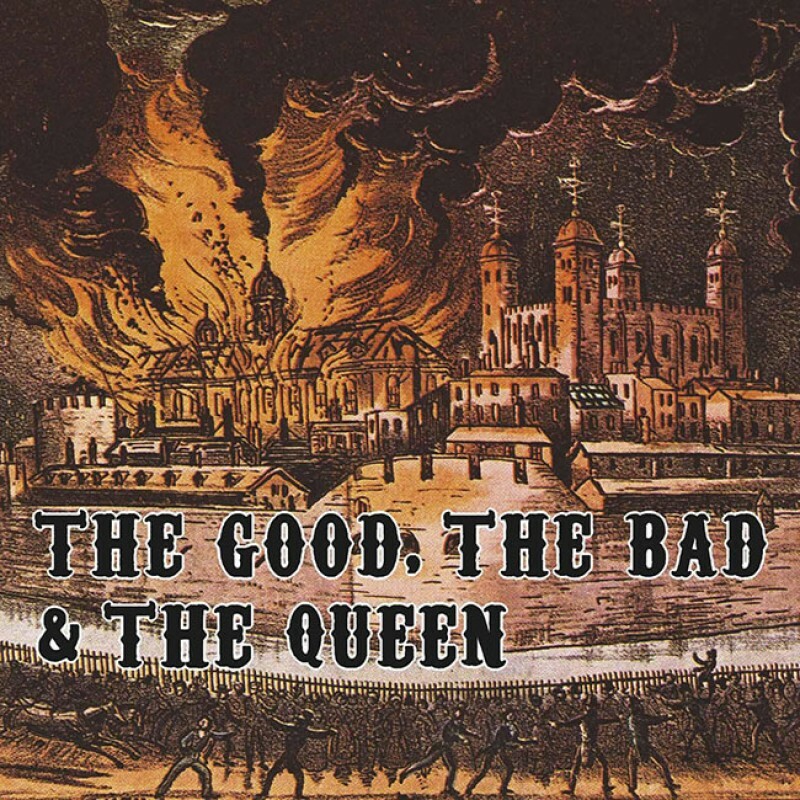 'The Good, The Bad And The Queen' traces a journey from the English music hall tradition, over to West Africa for Afrobeat, zigzagging through the West Indies and its reggae and dub, back to England and London's punk scene, all the while taking in a strand of British beat music from the '50s right through to Britpop.